Alpine Aircraft Sales is the Australian distributor for Alpi Aviation. of aeroplanes, manufactured in Italy. 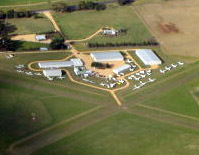 Alpine Aircraft Sales is based at Lethbridge Airport, situated between Geelong and Ballarat in the state of Victoria. From Lethbridge Airport, Alpine Aircraft Sales operates from a brand new hangar from which the factory built aircraft are assembled for the Australian market. Alpine Aircraft Sales is a team of 3, Michael Pendergast, Haley Watson & Bob Keen. The aim of Alpine Aircraft Sales is to provide honest sales with second to none after sales service and assistance to all customers and to further promote recreational aviation in Australia. In promoting recreational aviation we hold regular fly-ins’ and trips both in Australia and New Zealand for Pioneer owners and perspective clients.